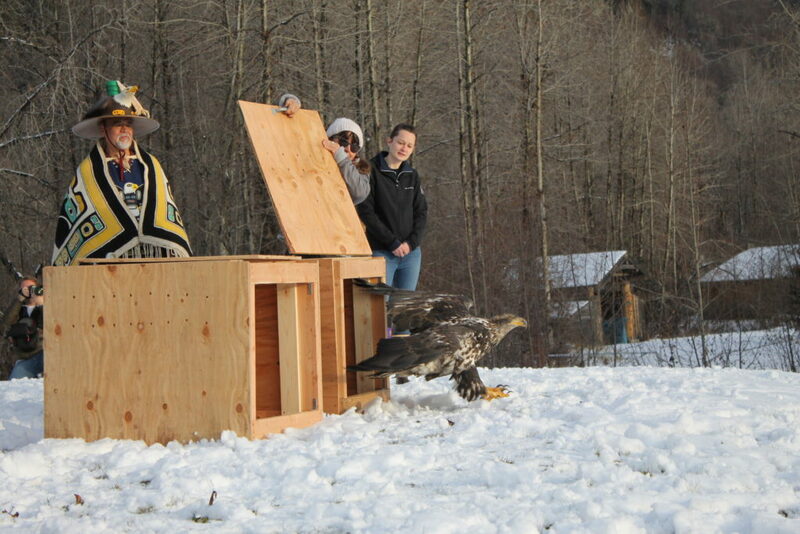 Two rehabilitated eagles were reintroduced to the wild this weekend during the Alaska Bald Eagle Festival’s Flight for Freedom event. 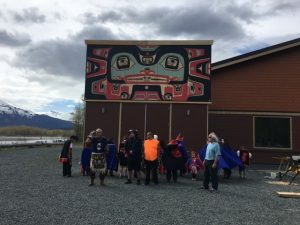 The eagles were released at Klukwan’s Jilkaat Kwaan Heritage Center during a ceremony that included singing, dancing and storytelling. 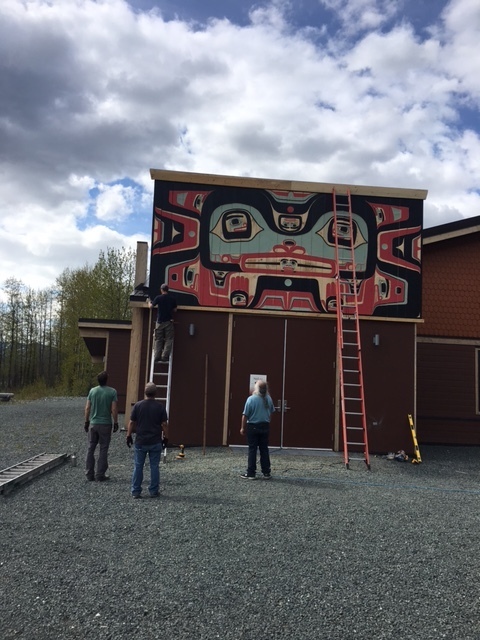 These are photos of the Wall panels being installed at the center and the celebration and blessing as they went up. They also feature Jilkaat Kwaan Heritage Dancers and the carvers that created the panels. Jones the Gaanaxteidi clan leader of the Whale House, saying the blessing. 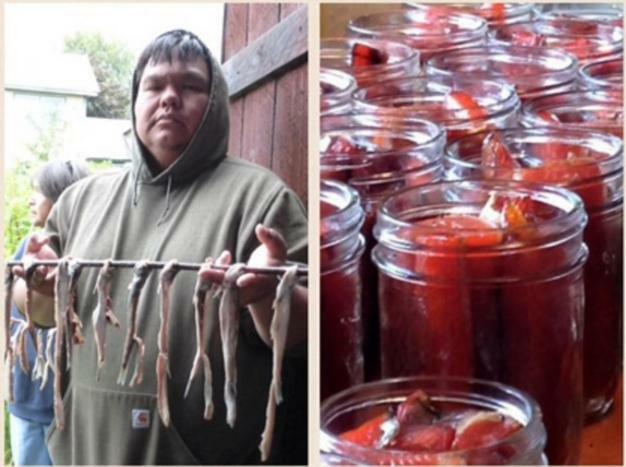 What does it mean to lose your land, your language, and your heritage? 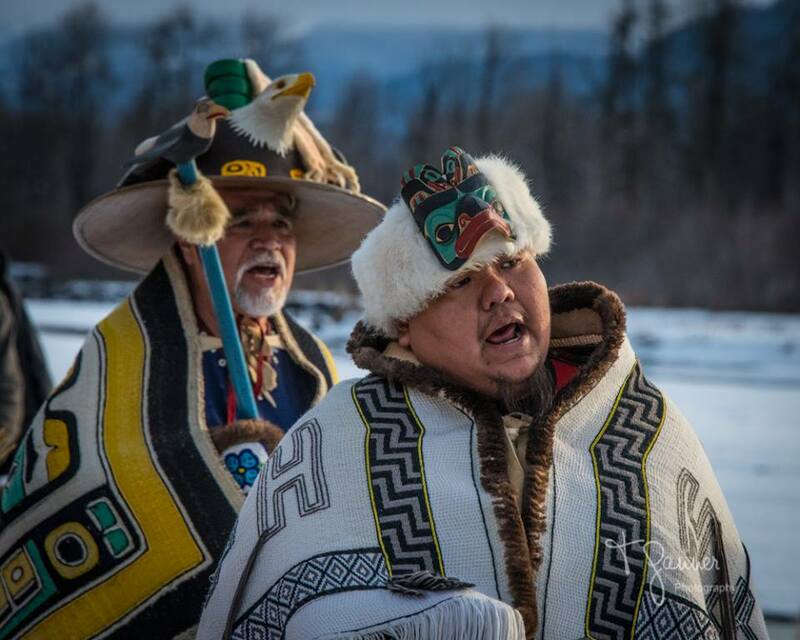 For Alaska Natives, these are existential threats. 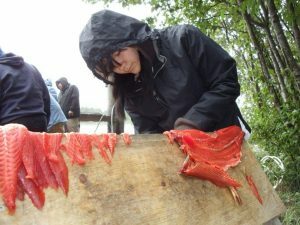 On a trip to Southeast Alaska, I traveled to one village that is finding new ways to survive: Klukwan, ancestral home of the Tlingit tribe. 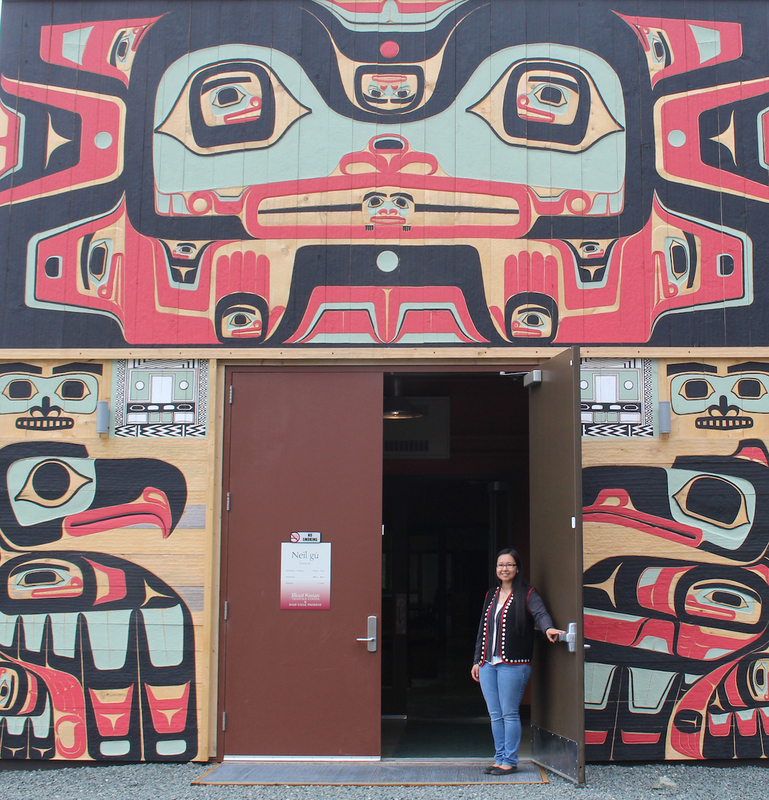 We will be offering guided tours by Lani Hotch from 10 am to 11 am, Monday through Friday. Tickets for this special event will be sold at the Center in Klukwan from 9:30 am to 10:00 am for $50 during the week of the festival. Lunch included with purchase of these special tours. A different story will be featured each day. * There are many unique and profound factors that come together to produce the conditions that help to bring the world’s largest congregation of Bald Eagles to the front door step of Klukwan and the Bald Eagle Preserve. Come join us as we discuss some of these fascinating aspects of this valley and explore how they intertwine to draw these majestic birds from surrounding areas to this special location. Suggested Donation for this lecure is $10. 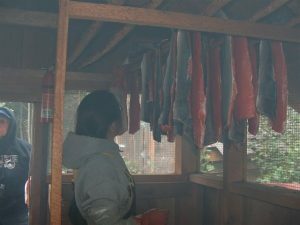 I missed the Homer hoopla because of a quick road trip to Haines, or rather to Klukwan, the Tlingit village 20 miles north of the city. 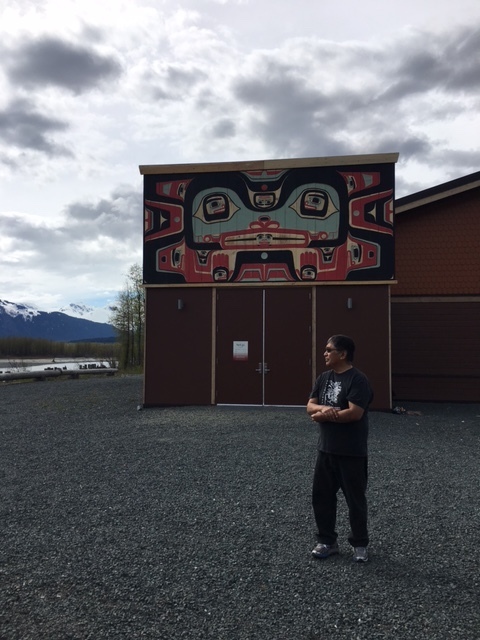 Since learning of the opening of the Jilkaat Kwaan Heritage Center this spring I had made it a priority to get there as soon as possible to see the ancient carved pillars from the Whale House. The sculptures are 200 years old or older. They were the subject of several well-known photographs made around 1890-1900, and a five-part series published in the Dispatch News some years ago, now available at the Alaska Native Knowledge Network website. 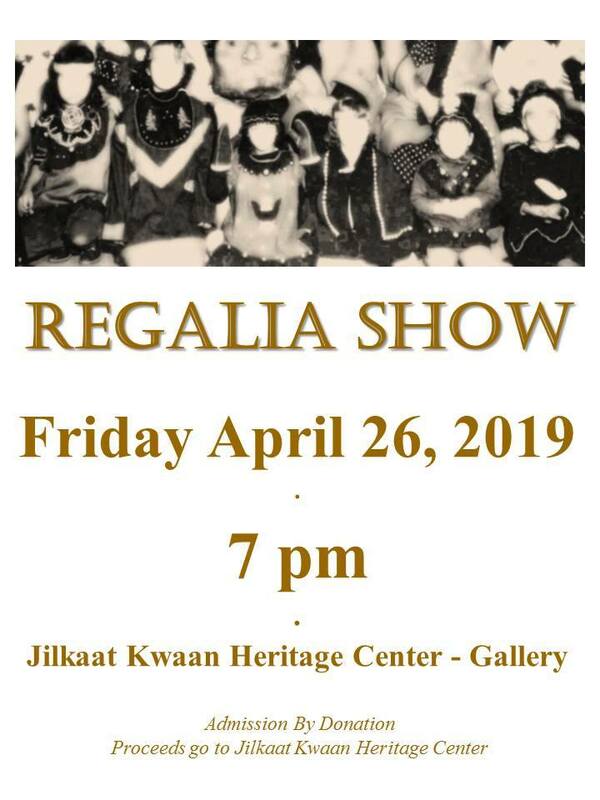 The Jilkaat Kwaan Heritage Center non profit organization, and through numerous local and non-local supporters who contributed their time, energy, talents, resources and cash throughout the years of our capital campaign. 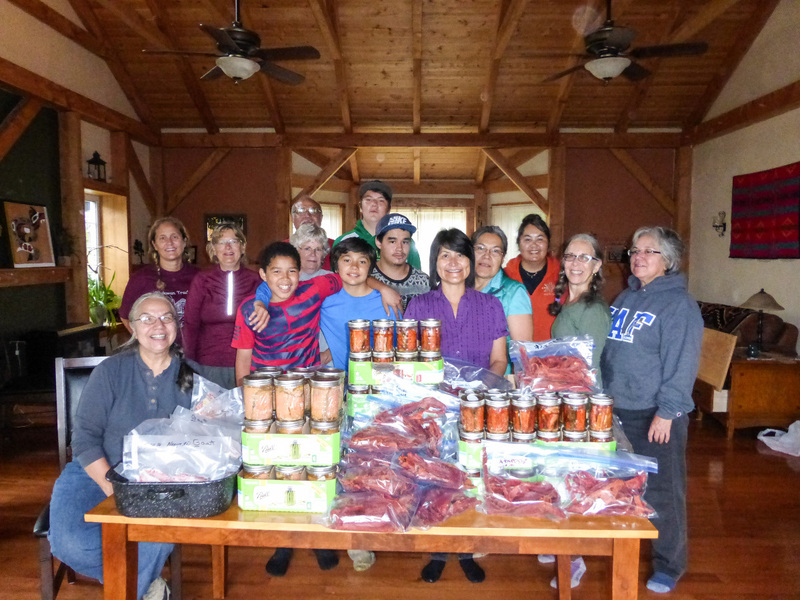 We had a blessing/thanksgiving in the woods behind Klukwan on January 17, 2014.. We are harvesting some trees from our own tribal lands to build the replica clan house interior where the Whale House collection will be exhibited. Klukwan elder Joe Hotch helped with the ceremony, talking to the tree and telling it “God made you, and now you are going to live with the Gaanaxteidi people. 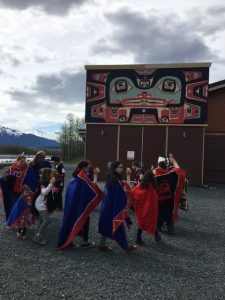 Many people from all over the world are going to come and see you.” It was a special time and a great atmosphere with a balmy mist in amongst the cottonwood and spruce trees. 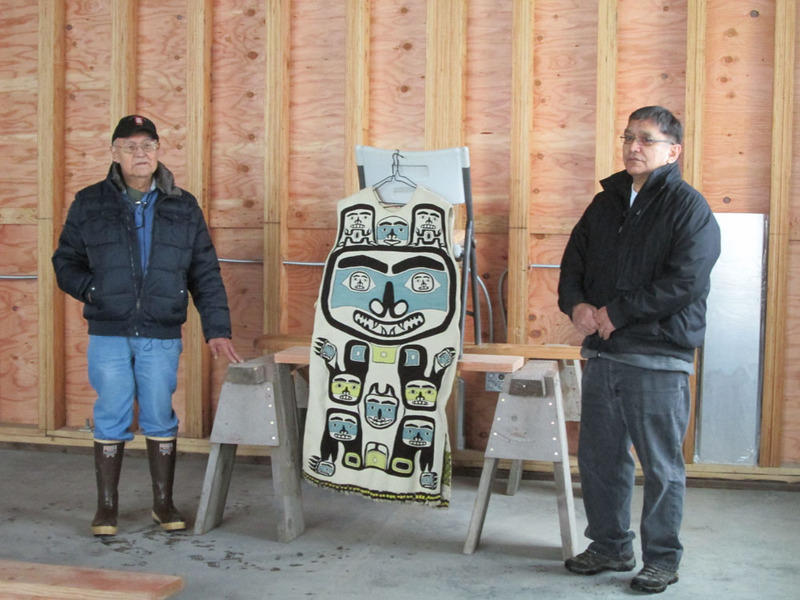 After the tree blessing ceremony a handful of us went down to the Heritage Center Building (shell) where Joe Hotch brought out the Brown Bear Chilkat Tunic that was once Chief Kudeinahaa’s. 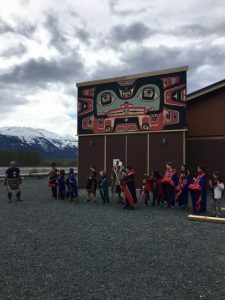 He said he wanted to bring the Brown Bear tunic out to support the Gaanaxteidi clan–to give strength and encouragement to them as they prepare a new home for their totems. 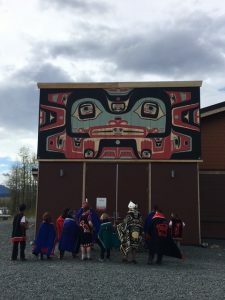 Jones Hotch Jr. responded with thanks to his father’s people, the Brown Bear House of the Kaagwaantaan, for their show of support. 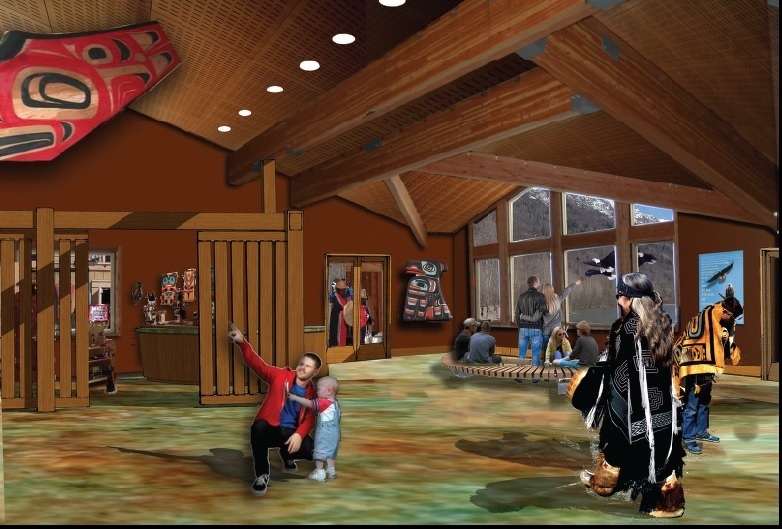 Jones also remarked that the Brown Bear Tunic was the first at.oow to be brought into the Heritage Center Building. It was an awesome moment! Really! It was such a good feeling to be in the building and to have one of the clan treasures from the village to be brought out in there. I think it is the first of many awesome events that will be held in the Heritage Center Building.